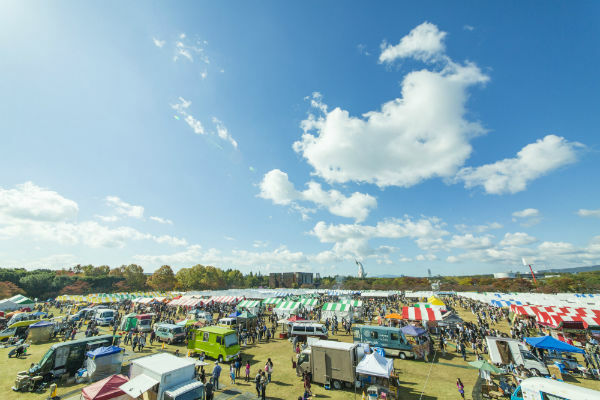 Lohas Festa, with the theme of “grass roots environmental movement leads to great social activities” aiming for “lifestyle with consideration for health and a sustainable society”, since 2006 in all over Japan. It is an environmental awareness event, exceeding 250,000 visitors each year. 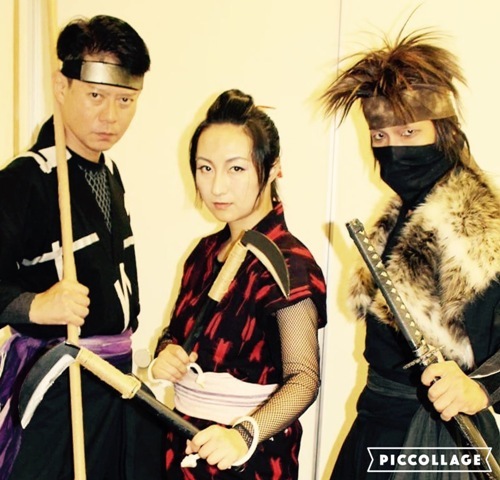 We will be promoting the history of the Ninja and its culture as well as the tourism of Mie Prefecture through our Iga Ninja”RAIDO” performance. We are going to show over 10 dolls including human and animal. Also, we will be presenting a video of how to make Kimekomi doll on the monitor. 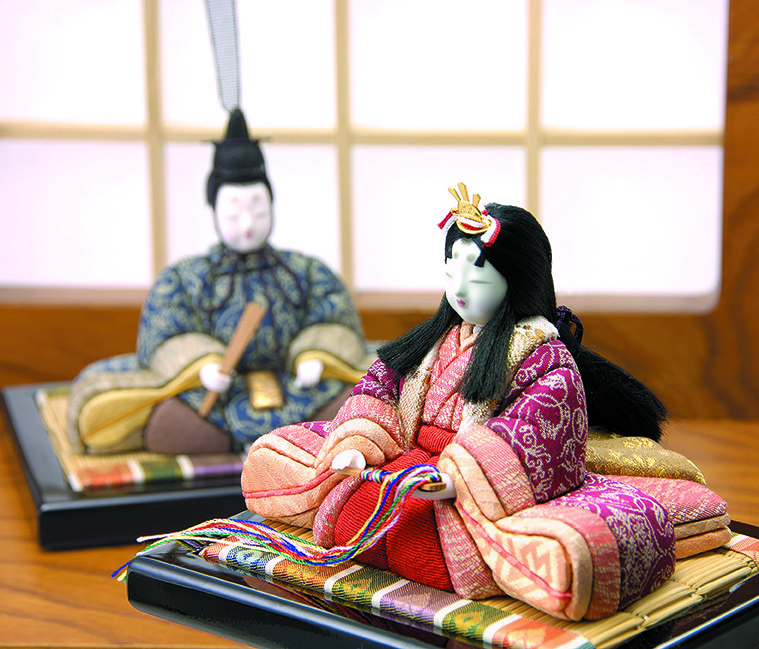 We are going to have Kimekomi doll making experience with guests. As for making doll activity, guests can complete “top, gourd or ball” doll in approximately 1 hour. 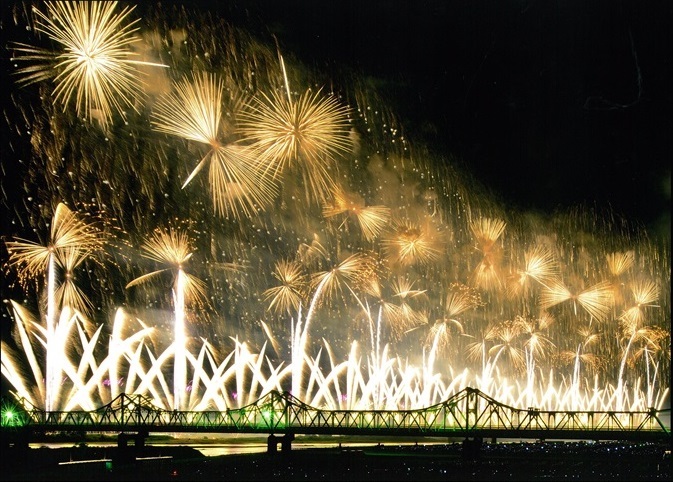 The Nagaoka Festival Grand Fireworks Show is held annually on August 2nd and 3rd against the backdrop of the Shinano, the longest river in Japan. At our booth, you’ll be able to experience Nagaoka Fireworks with a VR device as if you were viewing real fireworks. Visitors can also enjoy tasting some of Nagaoka’s Japanese sake, a regional specialty of which we are proud, and seeing Nishikigoi originated from Nagaoka, multicolored ornamental carp, swimming gracefully. 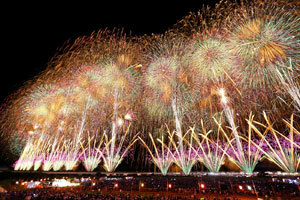 On March 10th, the final day of the Honolulu Festival, Nagaoka Fireworks will bloom in the night sky over Waikiki beach. 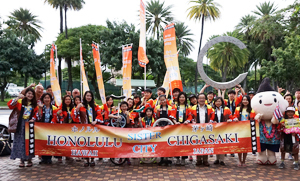 Chigasaki is one of Honolulu’s sister cities, where its stunning nature, hula and surf culture have a lot in common with Honolulu. 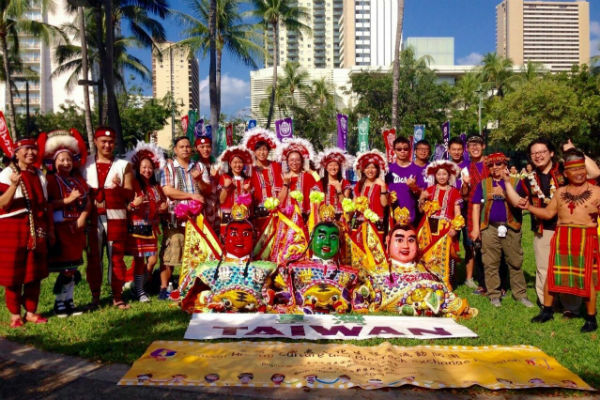 We would like to foster our friendship with Honolulu, and engage in cultural exchange for future generations. Once-in-a-lifetime experience. We will present Bon Temae (A type of Tea Ceremony). Please enjoy delicious traditional sweets from Nagaoka and organic green tea. You can also experience making tea. During the Nagaoka Grand Fireworks Festival held annually on August 2nd and 3rd, approximately 20,000 shots of fireworks bloom in the night sky over Nagaoka. At our booth, we will be displaying full-size replicas of fireworks shells and Yamakoshi’s Nishikigoi (multi-colored ornamental carp.) Visitors can also enjoy tasting some of Nagaoka’s Japanese sake, a regional specialty of which we are especially proud. 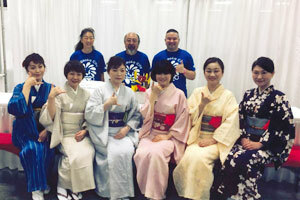 It is the third time for Sakuragaoka to participate in the Honolulu Festival. 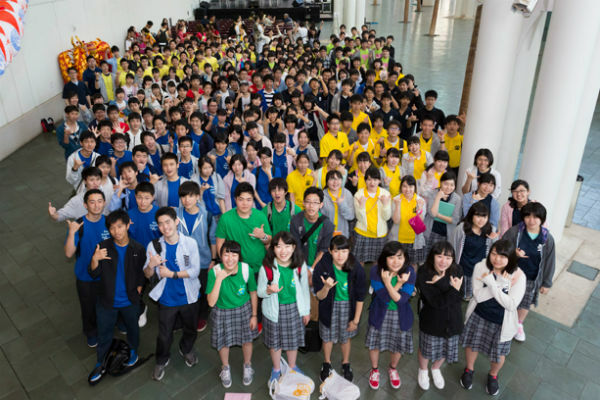 Our high school freshmen will introduce traditional and modern Japanese culture to the guests. Calligraphy, origami, fukuwarai, ninja, manga and so on! Students of the Nagaoka Institute of Design learn about various aspects of design. 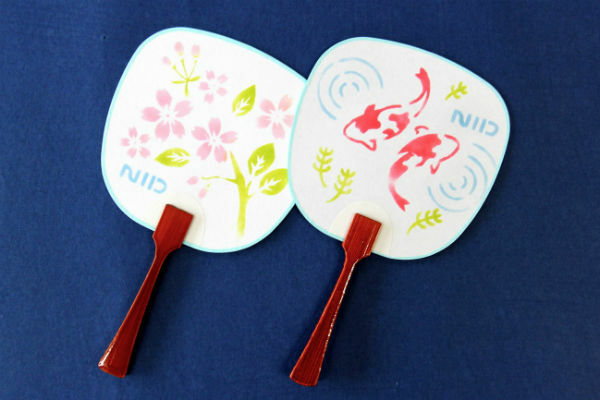 At our booth, we will help you enjoy painting an uchiwa, a round paper fan, with a stencil method, known as “kappazuri.” You can create your own Japanese-style uchiwa by choosing your favorite pattern, placing it on your uchiwa, and applying colorful ink around it.